InstaForex international broker invites you to visit its stand at a Forex exhibition under the ShowFx Asia international exhibition brand. 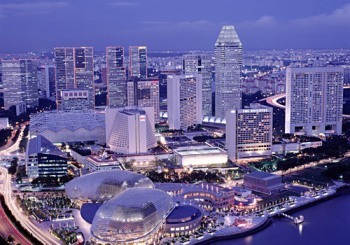 The event will be held in the luxury Suntec City exhibition center in Singapore on February 10-11, 2012. Major brokers as well as banks, investment companies, dealing centers, software developers and education centers will take part in the Singapore Finance and Investment EXPO. Representatives of the Forex community will tell you about current intramarket trends, introduce innovative developments of Forex trading and present thematic books, etc. All guests of the Singapore Finance and Investment EXPO will be able to visit thematic seminars as well as held interesting conversations with other traders and Forex experts and take part in entertainments.Moreover, the company prepared a gift for every visitor of its booth in amount of $50 credited to the trading account. The lucky guests will get even more money to manage on the trading account! Do not miss the chance to receive InstaForex brand products and souvenirs prepared for all the present and potential customers. InstaForex international broker is the primary sponsor of the Singapore Finance and Investment EXPO. At the exhibition the company will introduce you to its new services and present numerous advantages of trading with InstaForex. You will have a chance to meet young and welcoming InstaForex representatives and held informal conversations with them. We look forward to meeting you at the ShowFx Asia exhibition in Singapore on 10–11 February! This entry was posted on Monday, January 23rd, 2012 at 3:27 pm	and is filed under Events. You can follow any responses to this entry through the RSS 2.0 feed. You can leave a response, or trackback from your own site.